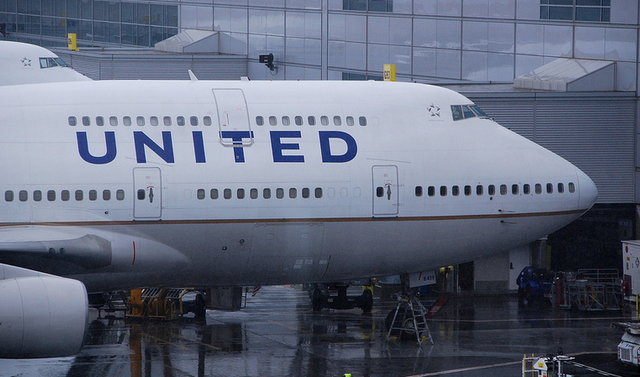 The five-year-old marriage between United and Continental airlines appears to be hitting the seven-year itch a few years early, as new United CEO Oscar Munoz began his tenure acknowledging the mega-merger may not have been such a good idea after all. Munoz, who took over three weeks ago after the abrupt departure of Jeff Smisek amid a federal investigation, tells the Wall Street Journal that the companies could have handled the 2010 union better. United began its regrets tour today – the official fifth anniversary of the creation of United Continental Holdings – by taking out ads in eight newspapers around the country. The ads feature Munoz apologizing for failing to meet customer expectations and vowing to improve. Indeed, the process of coming together saw some significant hiccups: when the two companies merged reservation systems in 2012, months of disruptions ensued. Passengers reported that reservations magically disappeared, and at one point the new system moved cities closer together — Denver and Los Angeles somehow were only three miles away from each other. In his interview with the WSJ, Munoz outlined some of the steps he plans to take to make up for the often problematic merger. At the top of his list of things to do as new head of the organization: rally the troops, so to speak, by increasing morale among employees. To do that, Munoz says he’ll start by hosting a summit later this month to discuss new labor deals with the airline’s flight attendants and mechanics. Currently, these employees are working via agreements that first began when United and Continental were separate companies. After addressing lagging employee morale, Munoz says attention will be turned to improving the carrier’s liability in passengers’ eyes. He’s also asked senior United management to “go back five years and assess what we told the board we were going to do” and see what worked and what went wrong. On Thursday, the company took a small step in addressing those issues by launching a new website called UnitedAirtime.com. The site will serve as a place for customers and employees to offer ideas, give feedback and read about what the newly minted CEO has been up to. Next Would You Send No-Show Wedding Guests A Bill For Their Uneaten Dinners? Next Up: Would You Send No-Show Wedding Guests A Bill For Their Uneaten Dinners?